Many thanks to all Veterans! As you know the market rebounded off the lows a couple weeks ago, which was logical given the fact that several of our market breadth indicators like the NYMO, NAMO, RHCOMPQ, NYLOW were at extreme levels (see my prior posts from below to see these indicators). Now that the market has bounced, it went too far too quickly and looks like it may want to pull in some here. 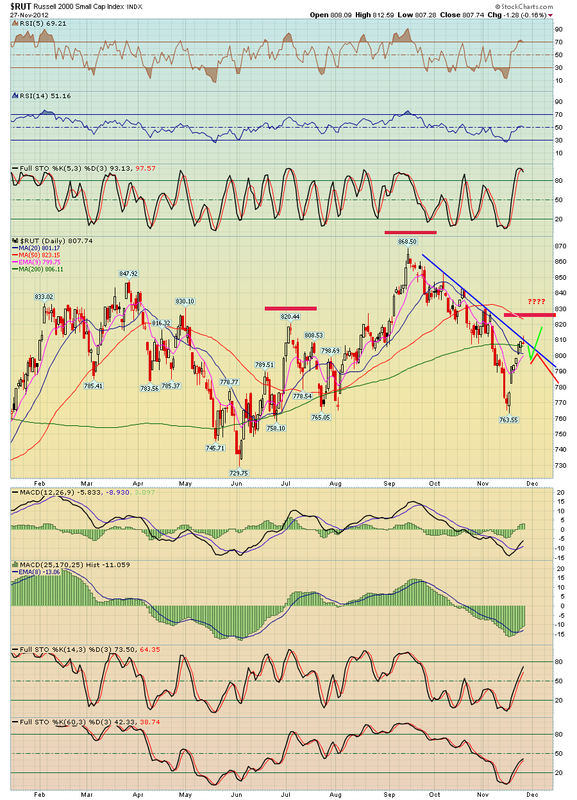 The first chart shows a daily chart of the Russell 2000, we showed this to members yesterday, notice how the candlestick exactly tagged the downtrend line, that marked resistance and a low risk short with a tight stop. Now we'll see if price can form a higher low on a pullback or not. 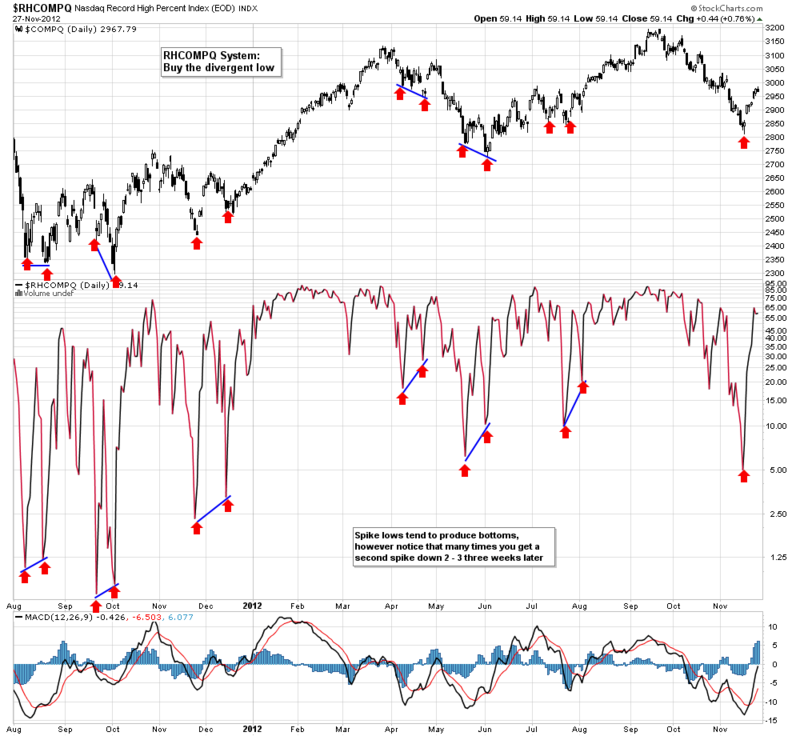 The second chart shows the RHCOMPQ market breadth indicator, which had spiked down to 5% two weeks ago, and subsequently the market bounced afterwards. However notice that many times this indicator has two spike lows before a good bottom is in (not always but many times it does). If this were to occur again, then expect another market pullback to form either a higher low or a lower low.